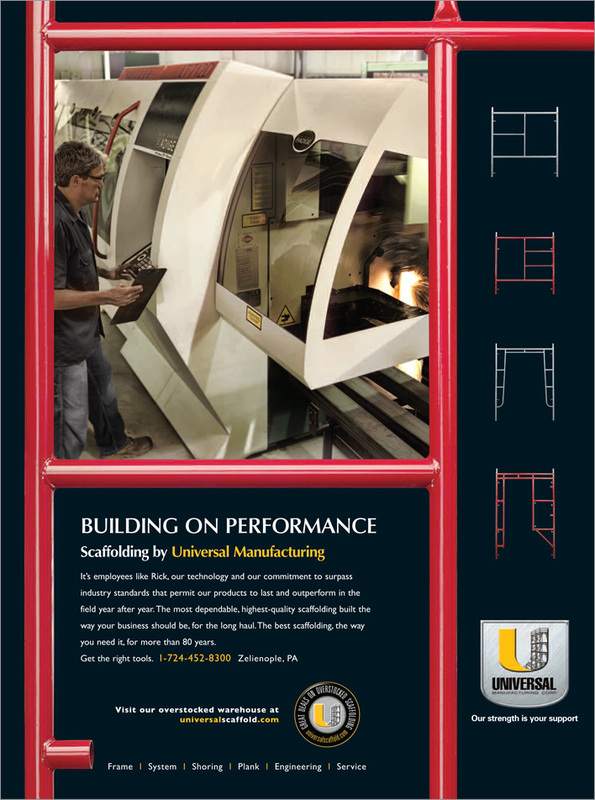 Universal Manufacturing Corp. is a leader in scaffolding and custom access solutions. 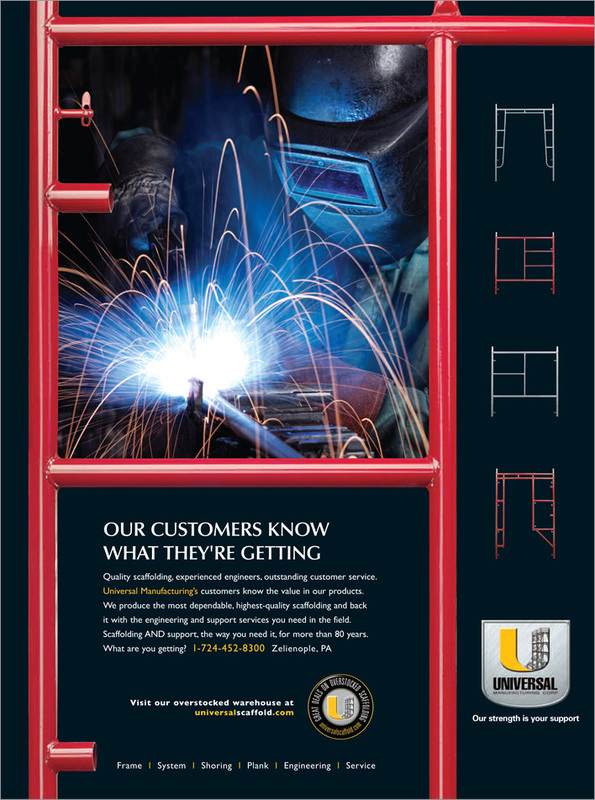 A series of trade ads were developed to showcase and reinforce Universal's engineering, manufacturing and customer service capabilities. They include a complete engineering and experienced customer service team, a full-line of high-end scaffolding products and custom engineered access solutions that meet their customer's specifications and exceed their expectations. 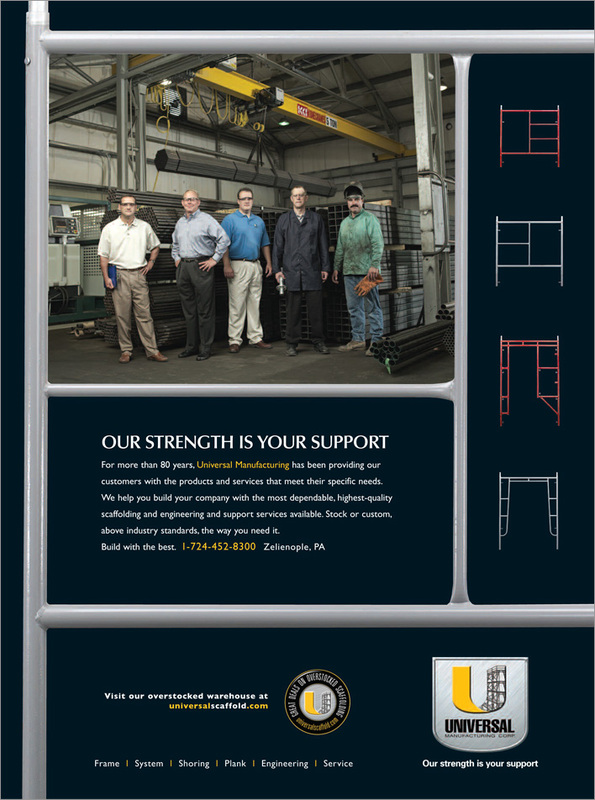 A slogan, "Our Strength is Your Support" was developed and implemented throughout advertisements and collateral materials to shore up Universal customers know what they are getting.